Canberra Museum and Gallery is located on London Cct in Canberra city. Paid parking is available in adjacent carparks, including four disabled carparks in the London Cct carpark opposite the bus interchange. CMAG is located very close to the Civic bus interchange and many school groups use public transport to visit us. For groups travelling by chartered bus, there is a bus drop-off zone outside CMAG on London Cct. 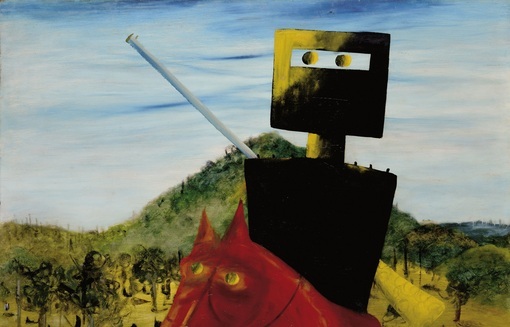 Looking becomes an exciting adventure when exploring the paintings of Sidney Nolan! Children will engage with selected works from Nolan’s Kelly series and bring them to life through art-based games, singing, storytelling, puppetry and role-play. Children further investigate these ideas during a practical art-making session where they will experiment with a variety of media to create individual artworks.